What are YOU doing to celebrate Music in Our Schools Month? What do creativity, collaboration and improved academic performance all have in common? They’re all benefits enjoyed by children who study music. This March marks the 30th annual “Music in Our Schools Month,” (MIOSM), spearheaded by the National Association for Music Education (NAfME)—one of the largest music education and advocacy organizations in the world. MIOSM has grown from a single-state music advocacy day in 1973 into a month-long nationwide celebration. Each March, music educators, students and communities around the U.S. work together to bring attention to the benefits of music education and the importance of giving students access to music in schools. 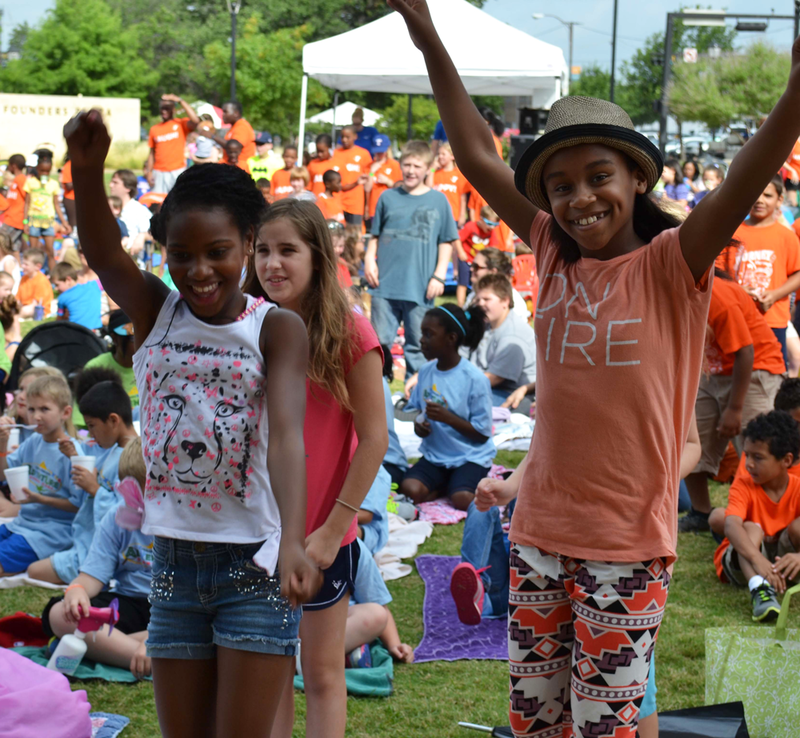 Here at Levitt Pavilions, we’re constantly reminded why arts access is so important—particularly for children. People of all ages come together and enjoy music on Levitt lawns. Levitt’s family friendly shows are often the first exposure children have to high quality musical performances. Watching smiling children soak in the music, dancing and playing freely, it’s clear just how much joy experiencing live music brings. Playing an instrument allows children to experience music on an even more personal level, which brings even more benefits! 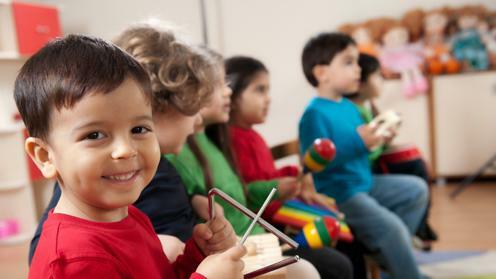 Playing music can strengthen auditory processing and aid linguistic development in children. Participating in organized music lessons can boost IQ and academic performance. Secondary students who participated in band or orchestra are reported to have the lowest lifetime and current use of all substances (alcohol, tobacco, illicit drugs). Playing music improves problem-solving and abstract reasoning skills. Nine out of ten adults and teenagers who play instruments agree that music making brings the family closer together. College-age musicians are emotionally healthier than their non-musician counterparts for performance anxiety, emotional concerns and alcohol-related problems. On a lighter note, playing music is an incredibly fun outlet for self-expression! At a time when school arts programs are often the first to be placed on the chopping block, it is critical to continue raising awareness of the positive impact music has on individuals, schools and communities. 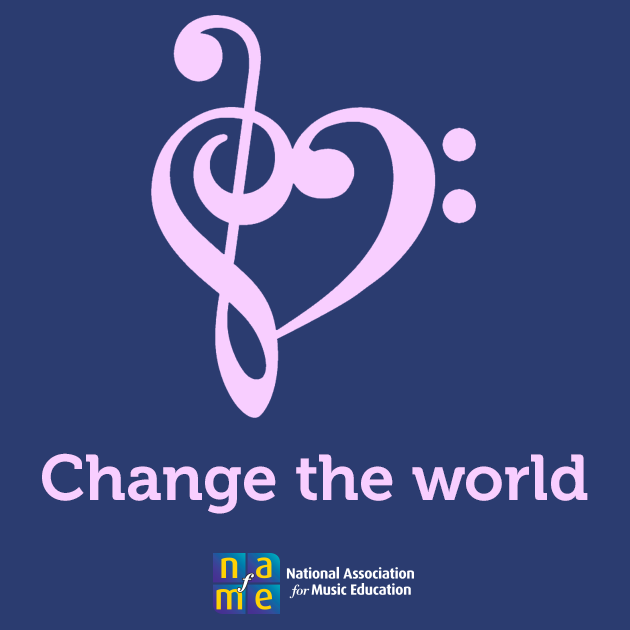 Music teachers and education professionals: Visit the National Association for Music Education’s MIOSM website for advocacy materials and Music in Our Schools Month lesson ideas and repertoire. Parents and community members: Reach out to local principals and school boards and express your support for music education. If you know of a local music program at risk of being cut, reach out to Music for All. If you are interested in the bigger picture, visit http://www.broaderminded.com/petition.html and let your legislator know that you’d like to make music education a priority. And last but not least, thank a music teacher for his/her dedication to creating more musicians and music lovers everywhere! This entry was posted in Arts Access, Beyond Levitt, Holidays and tagged Music Education, Music in Our Schools Month, National Association for Music Education on March 13, 2015 by Nicole McGaffey.